I got surprisingly close to the wader flocks just north of Ainsdale as the tide rose this morning, and was mildly surprised to spot a Sparrowhawk working the tide line. Naturally it put the whole lot up, whereupon a Peregrine appeared from nowhere and successfully grabbed its prey (Sanderling from its size). In the general mayhem the Sprawk also chased a Sanderling and caught it just above my head, whereupon it was in turn targeted by two very vociferous Crows and several GBBs. Eventually it seemed to me that the sprawk won out, but the whole melee had by that time moved away north. The wader flock went south. 22 Little Grebes on Southport Marine Lake yesterday at noon. Didn’t see the Shag though. 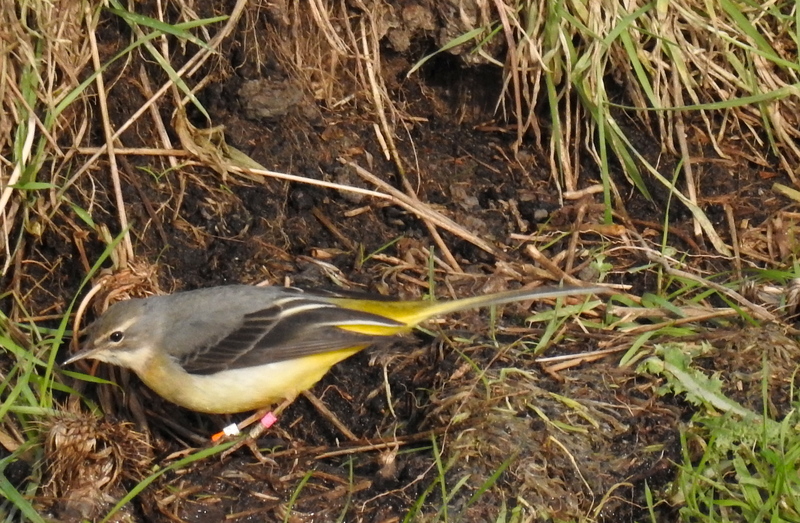 This Grey Wagtail was ringed at Middleton Nature Reserve just south of Heysham on 18/9/15. 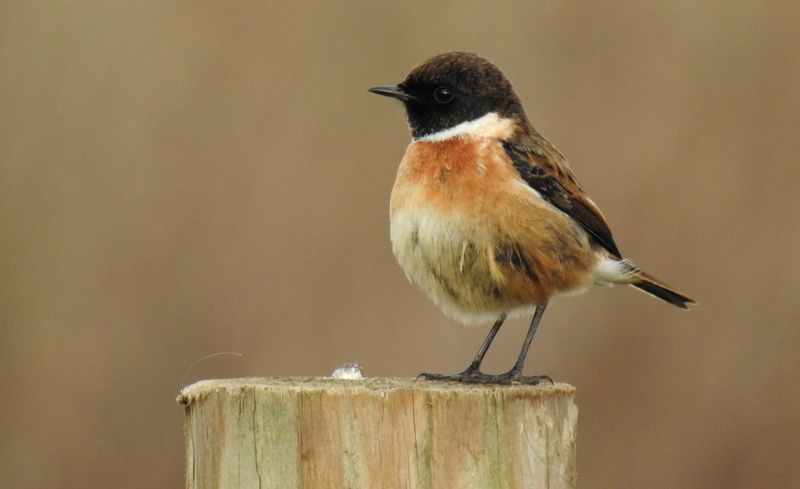 Almost certainly a resident(ish) wintering bird with absolutely no weather at all on the horizon likely to disrupt this so if you hear of any further sightings, even just part-reads, please could you let me know. Usual wintering recipe of an extensive circuit but with favoured hotspots, I suspect. Two Grey Partridge beside Broom’s Cross Road, Thornton, on the way to work this morning.